When not racking up scores on Konami music game Jubeat, Kya7y is on Twitter. And something she recently shared there, for lack of a better word, is amazing. 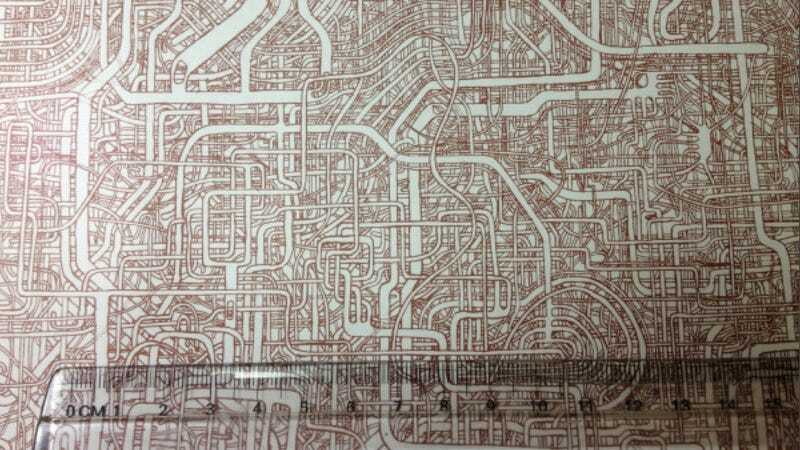 Thirty years ago, she tweeted, her dad spent seven years and several months drawing this maze on a sheet of A1 paper that measures approximately 35 by 23.3 inches. "Won't somebody make it to the goal?" she tweeted. Kya7y added that she had fifty copies of the maze, but wasn't sure how they were printed, but thought they were done using printing tech that isn't really used today. The maze was created 30 years ago, mind you. And there is apparently another maze, too. "Oh, right!" she tweeted, "I forgot something very important: it's not possible possible to reach the goal." "I'm not really sure," she added, "but for the time being, my dad, who created this, hasn't even reached the goal." This looks (and sounds) like a challenge. I'm keen. You? Click on each image to expand to full size.